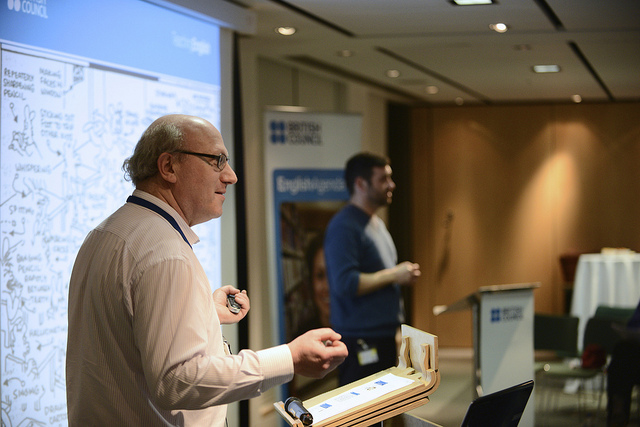 Are you interested in sharing your practical and innovative English language teaching ideas with colleagues around the world? We are delighted to announce that the call for proposals for the Seminar Series 2015 – 16 is now open! We are seeking seminar proposals from teachers, trainers, writers and researchers with a wide variety of experience, expertise and backgrounds. We are interested proposals covering a wide range of practical, inspiring and international ELT topics. We invite you to put forward your proposal, using our proposal form and guidance to help you develop your proposal. You can download these below. Submit your seminar ideas, no later than Sunday 15 March.